Jio on a standalone basis posted a net profit of Rs 504 crore in the December quarter, as compared to Rs 271 crore loss in the September quarter. Jio had a subscriber base of over 16 crore as of December 31, 2017. 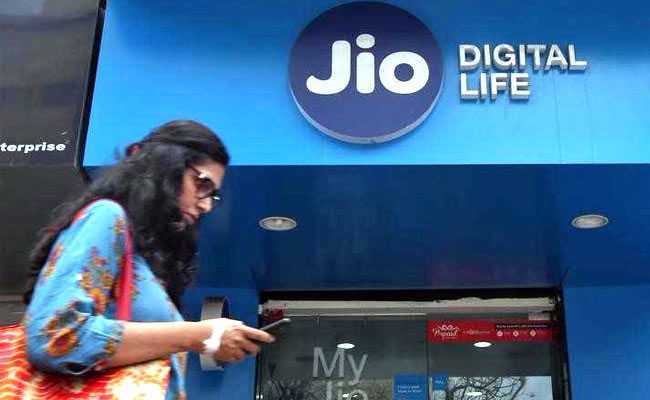 Reliance Jio, the telecom unit of Reliance Industries (RIL), has posted its first-ever quarterly profit. The financial milestone comes in less than 18 months after Jio stormed into India's mobile-phone market with free voice services and aggressive data plans that triggered a tariff war and forced consolidation in the telecom sector. Jio, on a standalone basis, posted a net profit of Rs 504 crore in the December quarter, as compared to a loss of Rs 271 crore in the September quarter. Standalone revenue from operations rose to Rs 6,879 crore in the December quarter, up 12 per cent from the September quarter. Jio had a subscriber base of over 16 crore as of December 31, 2017. Total wireless data traffic during the quarter stood at 431 crore GB (9.6 GB per subscriber per month) while the total voice traffic during the quarter was 31,113 crore minutes. Jio reported an average revenue per user of Rs 154 (per subscriber) per month. Commenting on the results, Mukesh Ambani, chairman and managing director of Reliance Industries Limited (RIL) said: "Jio's strong financial result reflects the fundamental strength of the business, significant efficiencies and right strategic initiatives. Jio has demonstrated that it can sustain its strong financial performance." The telecom sector has been hit hard by a price war since the entry of Reliance Jio. India's biggest mobile carrier Bharti Airtel Ltd reported a smaller-than-expected quarterly net profit in the December quarter. Net profit of Bharti Airtel fell 39.3 per cent to Rs 306 crore in the quarter ended December 31. Reliance Industries' profit on a standalone basis, which includes the company's refining, petrochemicals and oil and gas exploration businesses, but primarily excludes retail and telecom operations, stood at Rs 8,454 crore in the quarter ended December 31, up from Rs 8,022 crore a year earlier. Analysts polled by on average had expected Reliance Industries to post a standalone profit of Rs 8,394 crore.